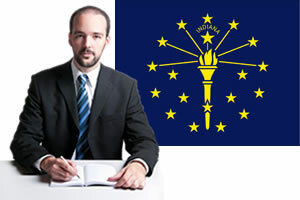 Indiana personal injury law varies from other state’s laws. Below are the most common personal injury laws in the state of Indiana. Understanding your compensation rights and getting the help of an attorney is your first step towards filing a successful Indiana personal injury claim. The Indiana statute of limitations for filing personal injury claims is 2 years from the date of injury or loss. Medical malpractice cases must be filed within 2 years from the date of injury, and product liability cases must be filed 2 years from the date of injury. Wrongful death claims must also be filed within 2 years from the date of death. These statutes for Indiana injury claims are subject to change, contact an Indiana injury attorney for definitive statutes at the time of your accident or injury. Indiana uses a fault-based or tort liability system. Fault based systems allow the insurance companies to pay damages according to each driver’s degree of guilt. To recover compensation you may receive compensation from your insurance company (who will receive payment from the guilty driver’s insurance company), the other driver’s insurance company or file a lawsuit to seek compensation for damages of lost wages, medical expenses and property damage. Indiana is a modified comparative fault state which means you may collect compensation in an injury claim as long as you are 50% or less at fault. If you are more than 50% at fault you cannot bring a claim in Indiana. An Indiana injury attorney can answer additional questions about modified comparative fault laws. Are there Damage Caps in Indiana Injury Law? According to the Ind. Code Ann. § 34-18-14-3 there are limits on the total amount recoverable in a medical liability case. The limit for accidents which occurred before July 1, 1999, are $750,000. For acts which occurred after July 1, 1999, the limit is $1,250,000. Indiana law also requires any amount awarded in excess of these limits to be paid from the Patient’s Compensation Fund. Workers compensation for temporary total and temporary partial disability benefits in Indiana are less than sixty-six and two-thirds (66 2/3%) percent of the difference between his or her average weekly wage before and after the injury. Speak to an attorney for more information on thresholds.